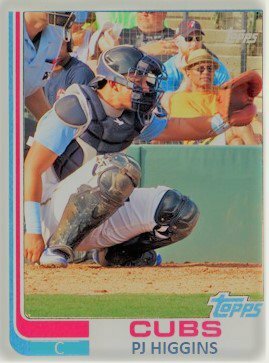 A year ago, I had Victor Caratini atop the Cubs catching prospects followed by Miguel Amaya, Ian Rice, PJ Higgins, and Will Remillard. The Cubs’ catching corps is still pretty deep this year. Only a few changes were made to the list since Victor now has a big league job. With this year’s rankings, the top spot has to make everyone feel good. 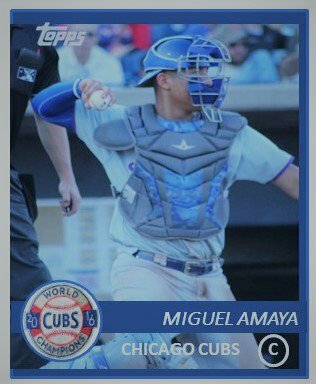 At number one, Miguel Amaya is quickly developing a potent bat to go along with his ability to be a defensive stalwart behind the plate. To have a power arm and a power bat as a catcher is a rare commodity for most organizations. The great thing about him is that he’s just going to be 20 this year and his bat is far from complete. This year‘s goal at the plate will be to continue to improve his pitch recognition skills and walk a bit more as well smack some more balls over the wall. Jhonny Pereda had an excellent first half at Myrtle Beach and was one of the surprises of the year in the Cubs’ system. In that first half, he hit .284 with a .368 OBP and 5 HRs. As the year wore on, he kept on catching most games and slipped about 20 points in average and on-base percentage. 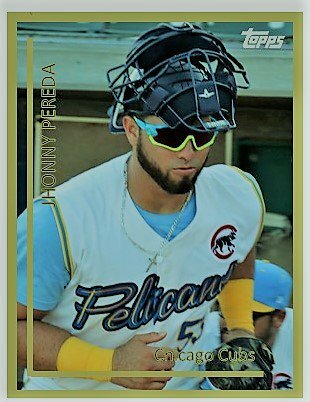 Still, Pereda was given a ticket to the Arizona Fall League where he was decent at .276/.344. Like Rice and Higgins, he is also Rule V eligible. If he does not get taken, he should be at AA Tennessee to begin 2019. For now, catcher Ian Rice is firmly implanted at number three. With an on-base percentage of close to .400 year last year, Rice worked mainly on his defense while also playing first and third base a bit. While his power numbers were down, Rice also did an excellent job of managing a pitching staff at Tennessee. I am very excited to see what he can do in the Pacific Coast League while at Iowa. He could be a Cub or he could not. It all depends on whether he is taken as a Rule V pick on December 13. Some other team is going to get a guy with the potential for 20 home runs with a smooth uppercut bat path and a good eye at the plate. At #4, PJ Higgins tore it up at Myrtle Beach in the first half of 2018. At Tennessee, he kept his head above water and was fine behind the plate as he worked with a staff that he was quite familiar with. As for his experience in the Arizona Fall League, it did not go as planned as he struggled to hit most days. Then again, his AFL experience should shape his future. It should propel him to improve in the batter’s box. More than likely, he begins 2019 back at AA Tennessee. In his first year as a Cub, Alexander Guerra put up some nice numbers in helping to lead the Cubs 1 team in Arizona to the best record in the league. He hit .267, had an OBP of .355 with 3 HRs, and drove in a team leading 30 RBI in 46 games. Based on that successful experience, he should be at South Bend to begin 2019. 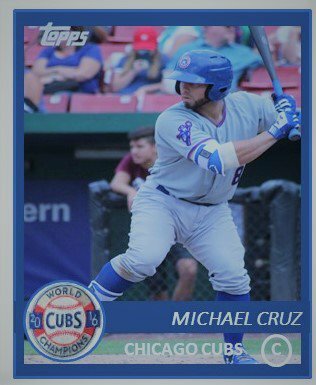 As for Michael Cruz, he looked like he figured some things out last summer at South Bend. He hit .322 in June and .286 in July to go with 27 RBI over the two months. He was promoted to Myrtle Beach and saw action in just 12 games in August and September. Cruz should be at Myrtle Beach to start 2019. A year ago, I had Will Remillard at number five. I thought he was going to be ready after missing 2.5 years. He got some work in at Tennessee and Iowa, but 29 games is not a lot. I hope he is back healthy and ready to go in 2019. Henderson Perez – He’s listed at 5’9” and 160 lbs. Those were his 16-year-old traits. He is ripped now and did well in the second half for Mesa 2 hitting .311/.386/.411 with 15 RBI in 24 games. He will be just 19 when he starts next year at Eugene. Marcus Mastrobuoni – After leading Mesa to an AZL title in 2017, Marcus missed all of 2018 with a knee injury. After hitting .308 with a .390 OBP and 6 dingers, Mastrobuoni looked prime to break out last year for South Bend. It didn’t happen for him but it could in 2019 even at 24 years of age. The Cubs signed two non-drafted free agent catchers in Caleb Knight and Brennon Kaleiwahea. I wonder what kind of roles they will have this year and with whom. And in a weird twist of fate, the Cubs can still sign 2018 23rd round pick Hunter Taylor of South Carolina up until 2 weeks before the 2019 draft. Because Taylor was a senior last year, the Cubs still have that strange right. After the Rule V Draft, we shall see if this list is still the same. ‹ PreviousDo the Cubs Have Payroll Woes or a Pitching Development Problem?